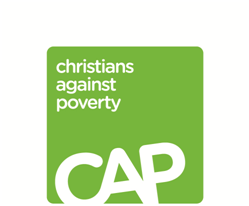 The CAP Job Club is open every Tuesday morning between 9.30am & 12.30pm at the Market Street Church venue in Nantwich, opposite the Civic Hall. It aims to equip people with skills to seek employment & to help people build their confidence & self esteem. The CAP Job Club provides a Drop In Facility where anyone can come & find out more, access confidential listening, gain support and encouragement, get to meet others in similar situations & enjoy refreshments. The Drop In can direct people to the interactive ‘Steps to Employment’ course, or individuals can be referred or self refer on to this course. It runs for 8 consecutive mornings 2-3 times a year and includes CV writing & interviewing skills. It will provide one to one coaching & support in a friendly, relaxed & inclusive environment. CAP Money is also run at the CAP Job Club center twice a year. This is a free , short course that makes managing your money simple. The course runs for 3 consecutive sessions and provides budgeting skills and a simple , cash based system. It helps people to get to grips with their finances, so they can budget, save and prevent debt. The next CAP Money budgeting course starts on 23 April 2019. The next CAP Steps to Employment course starts on 14 May 2019. Free Debt Counselling is also available through CAP. CALL FREE ON 0800 328 0006.